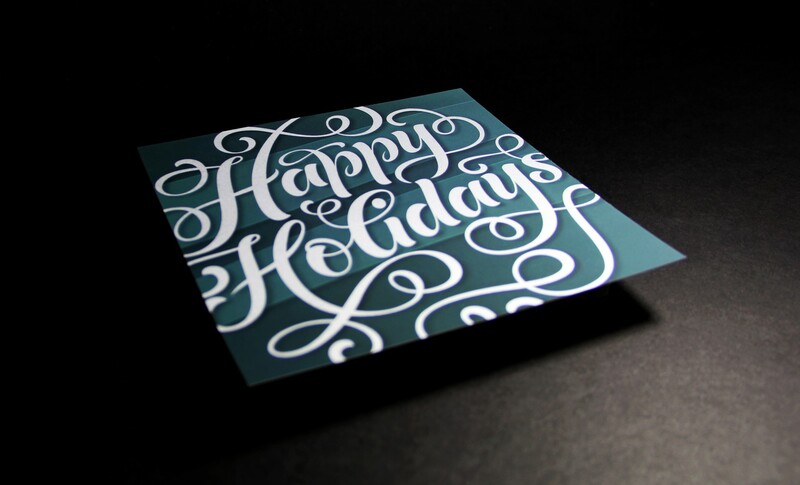 Perfect created this foil holiday card using our high-impact finishing capabilities. The silver foil was used in combination with a Karess soft touch laminate to create a unique feel and muted appearance. 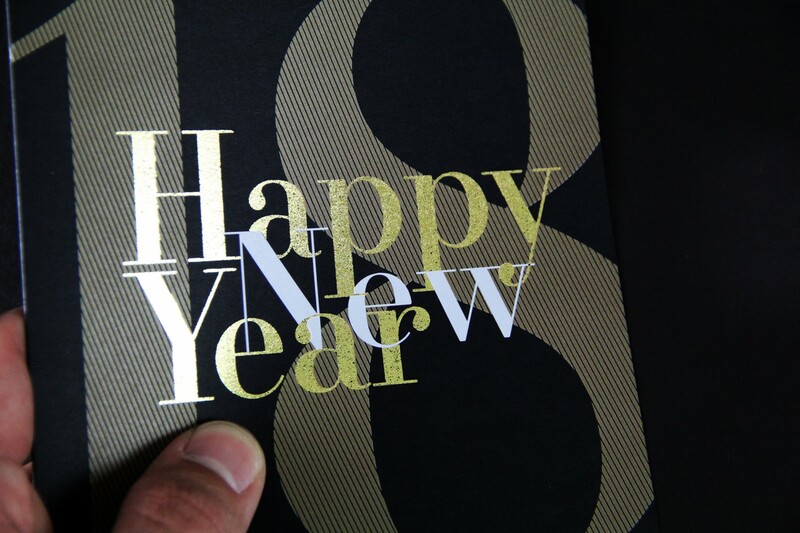 Perfect used a gold foil, which is one of our high-impact finishing capabilities, along with a white ink to produce this beautiful New Year’s card. It was printed on a classic black coated cover stock. 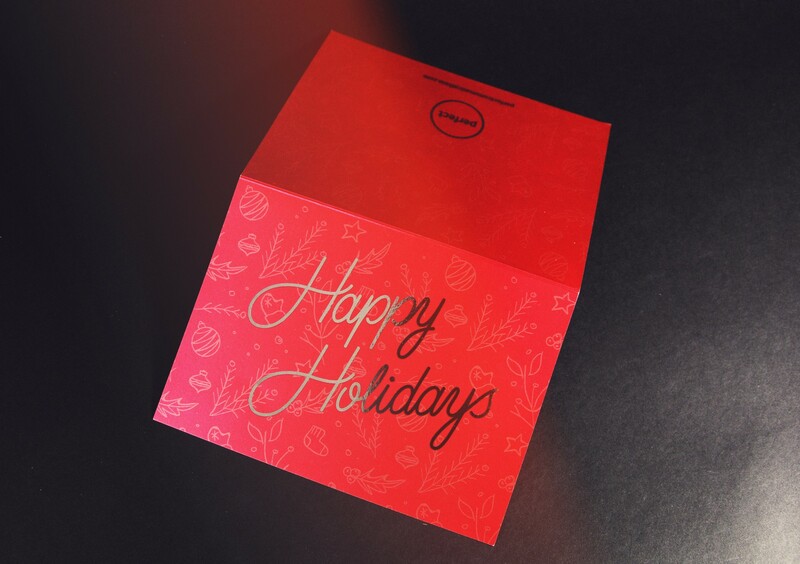 We used our high-impact finishing capabilities to produce this stunning holiday card to send to our customers in 2017. The card features a silver digital foil over a solid red covered with Karess Pearlescent Metalized Laminate.